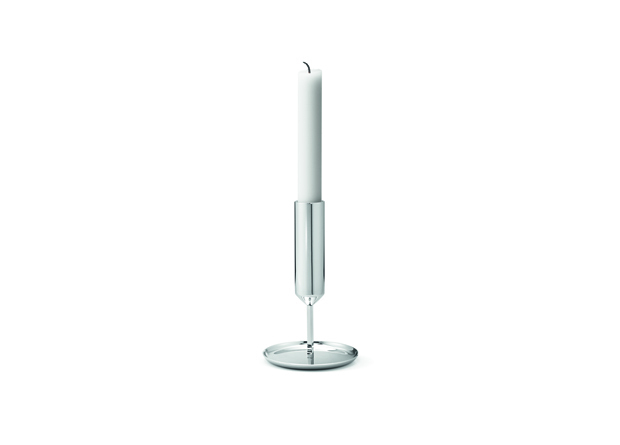 Tunes is a series of slim but soulful candle sticks featuring a low and a high candle holder, as well as a stunning candelabra centrepiece, the designs crafted from mirrored stainless steel can either be used alone or grouped together for a bolder display. 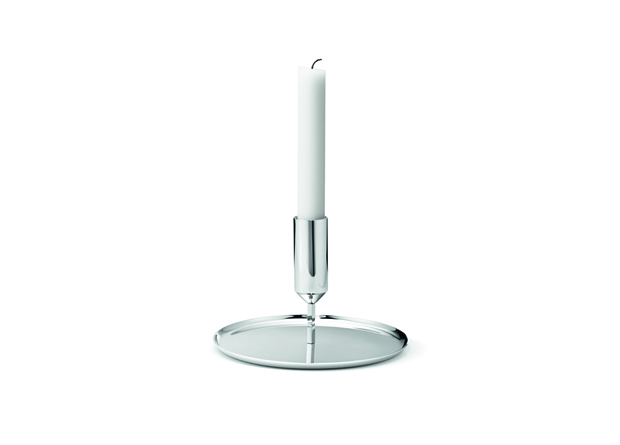 While the narrow and sleek form of the candle stick itself presents a very modern take on this traditional domestic object, the holders’ essential and elegant silhouette also reveals a thin circular base that doubles as a decorative tray. Ideal for displaying small seasonal delights. 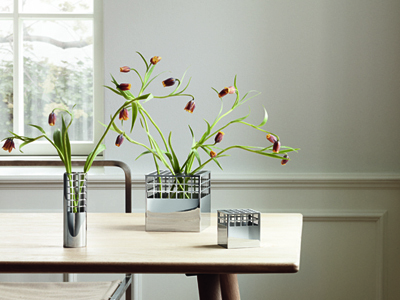 The tray allows the design to constantly evolve while accentuating a nature-inspired and organic design language. The candelabra, which hosts four candles and three small trays at varying levels, offers a more dramatic take on minimalist design. A staple of the Nordic appreciation for “hygge”, and a symbol of time spent together indoors, candlelight and candleholders are an essential part of the Scandinavian home: Tunes offers a delightfully pure and fresh take on this timeless tradition.